This months craft is a window birdhouse! Your young birdwatcher can observe birds’ behaviors like building a nest and watching eggs hatch without the need for expensive equipment. To register and for more information visit their website HERE. The first Saturday of December is approaching, you know what that means. 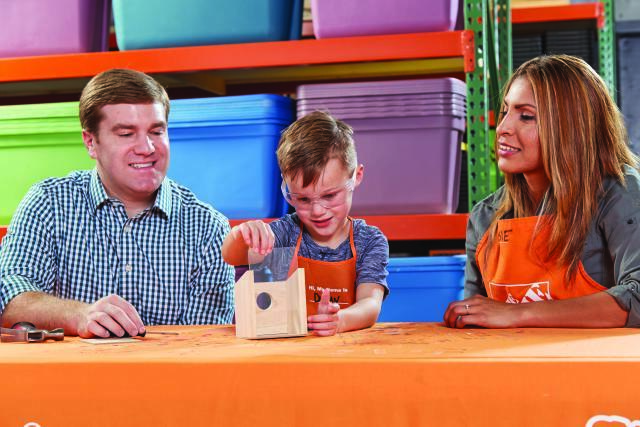 Home Depot is offering their Free Kids workshop that they offer once a month. This month’s workshop is to make a gingerbread man candy dish. Join the hands-on workshop and you and your child can create the beautiful Gingerbread Candy Dish. Once the candy holder is built, your child can decorate it with stickers to give their gingerbread mana cheery holiday smile. 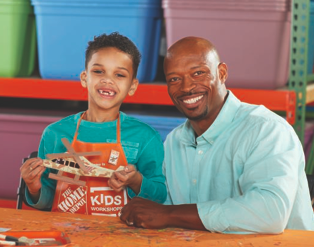 Plus, all kids get to keep their craft, receive a FREE certificate of achievement, a Workshop Apron, and a commemorative pin while supplies last. Children must be present at the store to participate in the workshop and receive the kit, apron and pin.